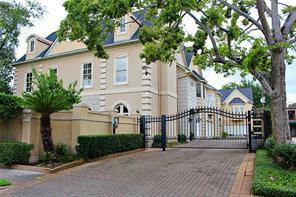 Beautiful home boasts master down on a quiet dead end street in St. George Place. Gleaming hard-woods continue through most of the first floor. Formal dining & living rooms with great natural light, updated kitchen offers stainless steel appliances and is open to a spacious breakfast area with fire-place. The family room with vaulted ceilings is extremely spacious and allows for a wonderful gathering place. 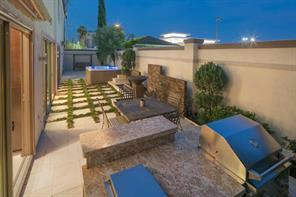 Spacious patio with tranquil fountains is perfect for entertaining and is a peaceful space to un-wind. The master down has lavish bath with double sinks, vanity area, large shower, soaking tub and TWO huge closets! Generously sized secondary bedrooms with walk in closets up have treetop views and Hollywood bath. Expansive walk in attic space adds additional storage space. 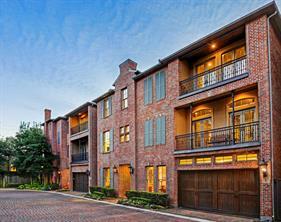 Amazing location within walking distance to the Galleria, fine dining, and shops! Never flooded (per seller)! Seller has completed many, many repairs. Per Seller: "Shingled roof & Flat roof replaced/paint/replaced damaged wood/installed insulated low E windows (except liv rm)/replaced garage header & jams/leveled master bdrm/installed kitchen French door/recent wtr heater & electrical panel/led front lights/garage paint & expoxy flr/leveled foundation in dining area/Siding replaced/Lots of upgrades including: granite cntertops in kitchen, master bath (with gorgeous tub & separate shower)/guest & half bath/bar area/cabs in kit & mstr bth/SS refrig/range/oven/dishwhr/microwv/wood blinds upstrs/door hrdwr-knobs/fixtures kit/mstr bth, carpet!" 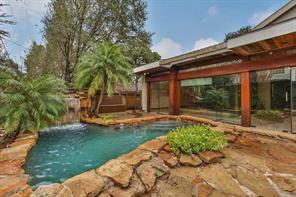 Private patio is located off living area w/firepl, engineered hrdwd flrs/wet bar. 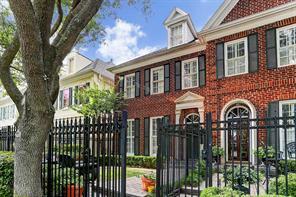 Town home has private wrought iron gated front courtyard entry. 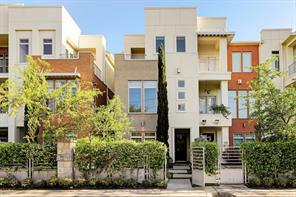 Great location w/access to I-10, West Loop S, Westpark Tollway, Southwest Frwy & Westheimer. Near the Galleria Mall/restaurants/shopping & medical. 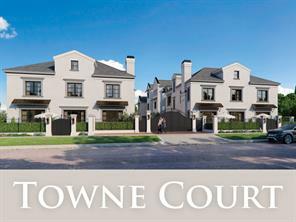 Very, very nice townhome! 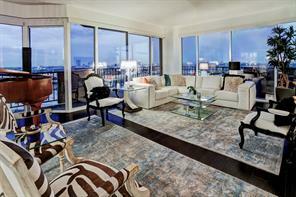 Fabulous and fresh on the Market, this Penthouse #2503 is unlike any other unit at Astoria!! Stunning floor plan designed by AWARD WINNING Architect Elias Adam (see Resume attached). 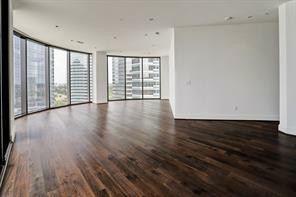 Beautiful matching wood floors, exquisite kitchen and multilevel ceilings heights throughout, with impressive SW views of The Galleria area from the 25th floor. This amazing SMART HOME comes with Surround Sound, Electric Shades in the Master's, Dining, Living and Media rooms area, 4 FULL BDRM, Quarters and a Grand Balcony perfect for entertaining parties. Unit has never been lived in Full Time! Also, the building offers 24 hr. Concierge, Security, Valet Parking, Pool, Gym and the Lounge area includes Caterers Kitchen, Pool Table and Party Room. Plus, Guest Room is available. Location just off 610 and Post Oak Blvd. 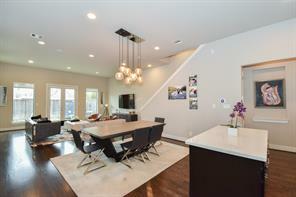 Stunning Modern home with contemporary design and immaculate appointments nestled on a large corner lot in the highly sought after Briarcorft neighborhood. This home offers floor-to-ceiling windows with views of the outdoor kitchen and patio, 7" wide plank hardwood floors throughout, open kitchen with quartzite counters, sleek cabinetry and Wolf and Sub Zero appliances. The master suite includes a lavish bathroom, double entry shower with double shower heads, free standing tub, and custom-designed walk-in closet. The open Floorplan with 21' tall ceilings in entry living, wine room, study, large butler's pantry, secondary bedroom on the first floor with ensuite, media room with wet bar, energy Star Certified, with 100% LED lighting throughout. 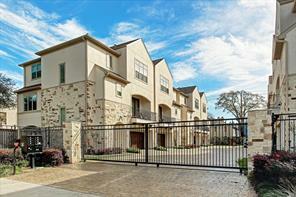 Large gated motor court, 3 car garage with glass paneled doors perfect for parking or outdoor entertainment. Beautiful brick and stucco façade with incredible outdoor entertaining space that includes a putting green, loggia with fireplace, as well as, a fabulous pool that features cascading waterfalls, swim-up bar, beach ledge and spa. 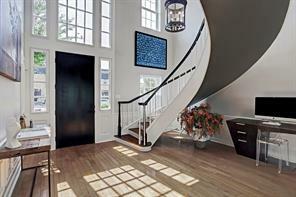 Grand entry with gently curved staircase and private paneled study. Formal dining room with a wine area that holds 100+ bottles and butler’s pantry that leads into the kitchen. Stunning backyard views from living room, kitchen and breakfast area. Large kitchen island, breakfast bar and massive pantry. Secondary bedroom down with patio access and full bathroom. Large master bedroom with a generous walk-in closet. Spacious upstairs landing with two built-in desk spaces. Wonderful third floor game room with full bathroom. Enjoyable garage apartment with full bathroom, microwave and refrigerator over three car tandem garage. Private elevator entry, 3BD + maids quarters, master Suite w/his-her closets. Brand new (2017) with furnishings from Cantoni. 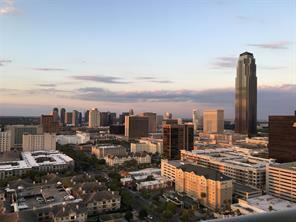 2001 offers gallery entries and sweeping panoramic views of the Galleria & Houston's Famous Downtown skyline. The Astoria offers full concierge services, world class finishes, and resident entertainment areas. 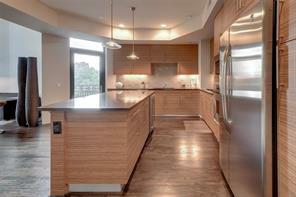 This residence features engineered hardwood floors and Miele stainless steel appliances. All bedrooms are en-suites with floor to ceiling windows. Construction completed in 2016. 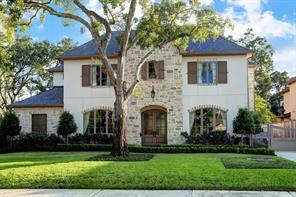 Stunning recent construction built by renowned builder - McCollum Custom Homes! Extraordinary traditional situated on spacious lot with mature trees and lush landscaping in desirable Briarcroft! Features 4 bdrms, 4.5 baths plus second floor gameroom and additional flex room or study, 2 car garage + electric driveway gate. 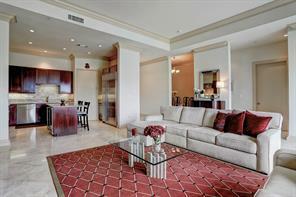 Exceptional open floor plan boasts generous room sizes and beautifully appointed formals. Professionally equipped kitchen with expansive center island with breakfast bar open to den, beautiful wood cabinetry, gorgeous carrera marble counter tops & back splash. 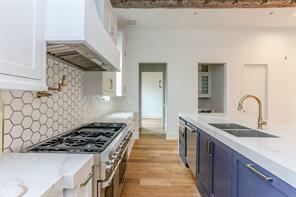 Stainless appliances including built-in Subzero and Wolf range w/double ovens. Fabulous butler's pantry with wine cooler and sink. First floor master suite with luxurious master bath. Spacious en suite secondary bedrooms. Spectacular resort style backyard with custom pool/spa + Summer kitchen w/bar space for seating and stainless gas grill. Excellent central location. MUST SEE! This is the 1st unit of a beautiful 3 unit custom home project close to the Galleria being built by SSH Homes, a premiere Houston builder. This home features first floor living, open floor plan, fireplace, designer kitchen, master on second floor, study plus 3 bedrooms, gameroom, fabulous 3rd floor terrace and elevator to all levels. This is a one of a kind floor plan and decorator selections. White oak hardwood floors throughout, marbles and stones, Kitchen Aid appliances. It is still in the early stages that you can make your own selections. Call agent for details. 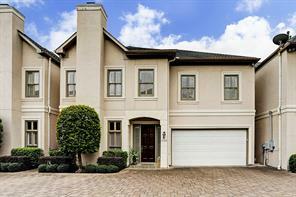 Stunning transitional with MASTER DOWN in a gated enclave w/ Briargrove Elementary. This home has 11 ft.ceilings, open floor plan, entertaining spaces, fine finishes, gourmet kitchen w/ Sub Zero & 48" Wolfe Range, exquisite master suite,w/ lg. closets & spa like master bath, gameroom, mini master up & courtyard w/ room for a pool. Builder/Architect, Robert Davis brings 25 yr. history of building in Houston's best neighborhoods. He has been awarded GHBA prism Award, NAHB Best in American Living & Texas Association of Builder's Award. 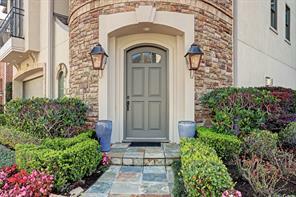 Stunning 4bdrm, 4.5 bath three story Mediterranean style home sits in private gated enclave in sought after Tanglewood Area.Exceptional open floor plan offers 1st flr living w/beautifully appointed formals, professionally equipped kitchen + spacious den w/gas log fireplace. 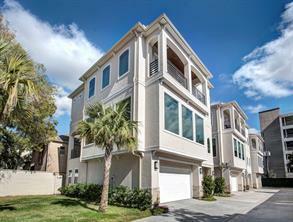 Extraordinary architectural elements and custom upscale finishes throughout. All bedrooms w/en suite baths. Recently built by Chateau Construction (2013 per HCAD.) Lightly lived-in + meticulously maintained. MUST SEE! 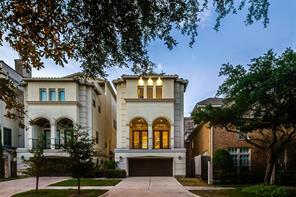 Breathtaking Mediterranean Rohe & Wright custom home located in the desirable area of The Galleria in Houston. 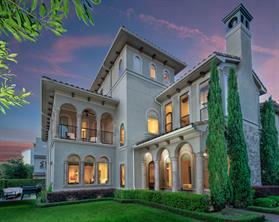 Stunning gated property w/stucco & stone elevation! Decorative iron door, grand entry w/three story wrought-iron staircase! 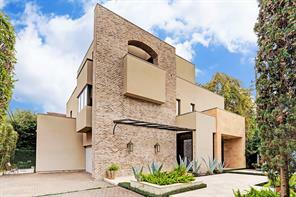 1st floor w/gorgeous travertine flooring, open plan w/entertaining space incl. formal dining, formal living, breakfast, kitchen & family room! Architectural details incl. 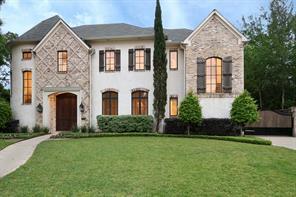 beamed ceilings in family room, arched windows, extensive crown molding, recessed lighting & 3 stone fireplaces! Island kitchen w/granite counters, white Shaker cabinets & stainless VIKING appliances incl. a 6-gas burner cooktop! 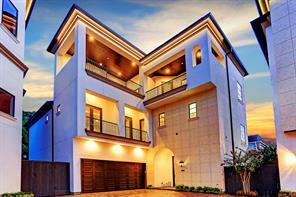 2nd floor w/master retreat w/private balcony, spa-like bath & separate dressing areas w/custom closets! Add'l 2 secondary bedrooms w/private baths & laundry room. 3rd floor MEDIA ROOM & private bedroom/bath! Elevator capable, full home camera system & surround sound. Covered patio! 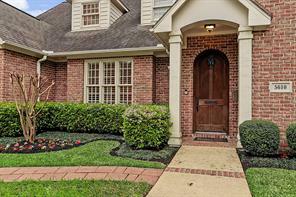 Short distance to neighborhood school, dining & Galleria shopping! Did not flood! Exceptional 3,449 SF custom home features 4 bedrooms, 3.5 bathrooms, formals, study, family & game rooms, 2 extra parking pads, covered lanai w/ fireplace, & backyard oasis including a heated pool! No detail has been overlooked in the design & execution of this home including 8’ solid core interior doors, ¾” solid oak, hand scraped floors, 16 Seer A/C, low E double paned windows, 3 wood burning fireplaces (L/R, Family Room, & Lanai) Old Chicago brick ceilings in wine closet & bar & on the floors in the butler’s pantry & utility room, speakers throughout downstairs & outside, Carrera marble in master bath, Moen fixtures, custom cabinetry throughout, custom wrought iron fencing on driveway & lanai, & driveway gate w/ remote access. This home is family friendly & ideal for entertaining. The family room & kitchen open out to the amazing lanai with a F/P & television making it perfect for large gatherings. This is truly a fabulous, one of a kind home that must be seen to be appreciated! 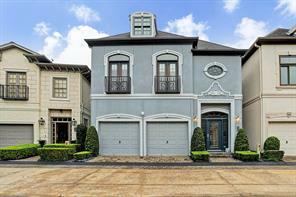 Gated custom home less than a mile from The Galleria! Features include travertine throughout the first floor with custom marble pillars, soaring ceilings & a grand gourmet island kitchen. The kitchen features stainless steel appliances & breakfast area. The entertainment areas include a separate formal dining area, a large living room, separate bar, media/game room and an aquatic area with a summer kitchen. The home features a private elevator and two master suites. DID NOT FLOOD IN HARVEY! Can be converted to 5 bedroom with first floor guestroom upon request. 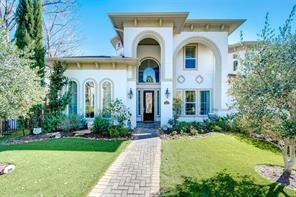 Breathtaking Mediterranean custom home located in Galleria area. Easy access to Highway 610/59. Larmar Terrace is a fast growing community close to shopping, medical center, down town as well as Museum area. 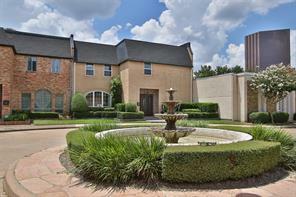 Gated property w/stucco & stone elevation! Decorative curved iron stairs, grand entry with open plan! 1st floor w/gorgeous marble flooring, formal dining, formal living, breakfast, kitchen & family room! Architectural details incl. 11 feet ceiling first floor, 10 feet ceiling second floor, extensive crown molding, recessed lighting, stone fireplaces, Island kitchen w/granite counters, maple wood cabinets & stainless Thermador appliances incl. a 6-gas burner cook top! Huge 2nd floor w/master, whirlpool tub, huge shower with hand shower. Security and surround sound ready. Covered patio! 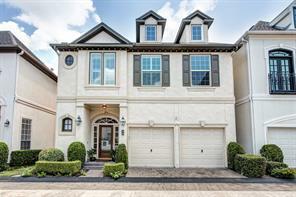 Walking distance to neighborhood school, dining & Galleria shopping! 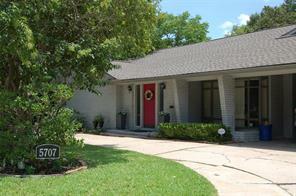 Beautiful free standing home located in desirable Galleria/Tanglewood area. Exemplary architecture & exquisite interior finishes. First floor 11' ceilings, stunning Calcutta gold white marble counter tops & blacksplash in gourmet island kitchen w/ Viking appliances. 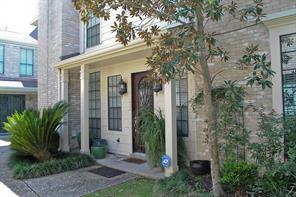 Open & gracious living/dining/kitchen/wet bar, flow into serene yard with room for a pool. Second floor 10' ceilings. Grand master suite w/ oversized his & her walk-in closets, luxe Calcutta gold white marble counter tops in master bathroom. Separate office space off master suite. All spacious secondary bedrooms w/ en-suite bathrooms. Elevator capable to 3rd floor. Large 3rd floor balcony. Wonderful restaurants, shopping & entertainment abound! MUST SEE!!! 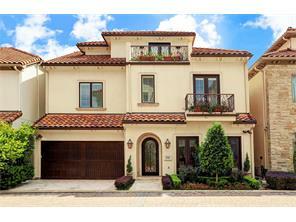 This luxurious Mediterranean style home is located in the highly desirable Galleria area. This private neighborhood has a 24/7 security patrol. 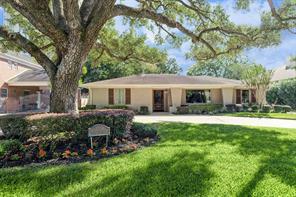 The property sits on a 6665sqft lot with Circular driveway and porte-cochere. Enter through double mahogany-stained doors. Formal living with separate dining, den. This 5 bedroom, 4-1/2 bath offers a 5th bedroom or media room with built-ins, 11 ceilings, recessed lights, many upgrades. Chef s kitchen with GE stainless appliances, island and granite countertops. Fenced back yard. Luxury at its finest. Stunning transitional built in a gated enclave w/Briargrove Elementary.This home has soaring ceilings,open floor plan,entertaining spaces,fine finishes,gourmet kitchen w/ Sub Zero & Wolfe Range,exquisite master suite,sitting rm & his/her closets & spa like master bath,gameroom,terrace rm & courtyard w/ room for a pool.Builder/Architect Robert Davis brings 25 yr. history of building in Houston's best neighborhoods.He has been awarded GHBA prism Award, NAHB Best in American Living & Texas Association of Builder's Award. 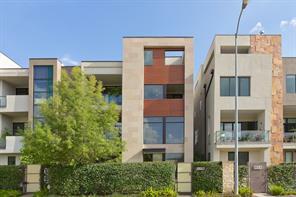 DESIGNED BY RENOWNED BUILDER FOR PERSONAL RESIDENCE. MASTER ON 1ST FLOOR WITH VIEW OF THE PRIVATE POOL. PORTE COCHERE COVERED AND GATED PARKING. GARAGE HAS PRIVATE ENTRY STUDIO APARTMENT. HOME IS WIRED FOR CABLE INTERNET CAMERAS. FEATURES MANY CUSTOM BUILT-INS AND HIGH END FINISHES. 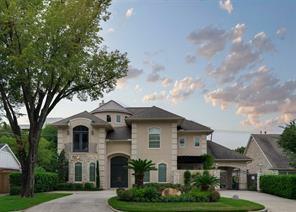 GORGEOUS Partners in Building custom home in sought-after Galleria area neighborhood. Mediterranean style w/ 14' ceilings, crown molding, wood stairs w/iron railings, plantation shutters, solar screens, large island kitchen w/chef-grade appliances incl. a Thermador dual fuel range w/6 burners, griddle, & two ovens (electric & Convection), built-in Sub Zero fridge, pot filler & porcelain apron farmhouse sink, maple cabinets, HUGE Pantry, & butlers pantry. 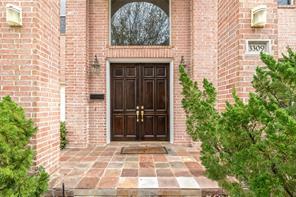 Entry has terracotta tile floors, wood flooring through 1st floor. Formal dining room is HUGE w/ cathedral arched ceiling & has been hand-painted. Living room w/wood beam, surround sound & stone fire place. Home has wine grotto w/iron door! 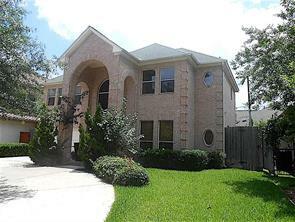 SPACIOUS master bedroom, master bath w/ travertine floors/shower, limestone counters, rain shower & MTI air-jetted tub. Outdoor courtyard w/covered patio. Neighborhood/street is friendly w/ lots of kids & neighborly social gatherings. Home & neighborhood DID NOT FLOOD! Welcome to your new home!! PRICE REDUCED! This beautiful custom home features one of the largest backyards in the neighborhood with enough room to accommodate your dream pool and outdoor living area. The home features an open floor plan with immaculate finished walnut floors, arched entry with wrought iron doors, rustic wood beams, gourmet kitchen, 2 downstairs living areas with 2 stone fireplaces and a huge 3 car garage with finished floors. The gourmet island kitchen comes with Viking cooktop, Subzero refrigerator and granite countertops. 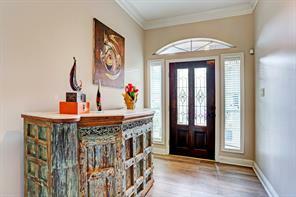 Quality custom cabinetry and beautiful real wood shutters throughout the home. In addition to 3 car garage there is enough parking behind gate to comfortably park plenty more vehicles. Recent updates include all new interior paint including garage, refinished wood flooring and new carpet. This home has NEVER flooded. 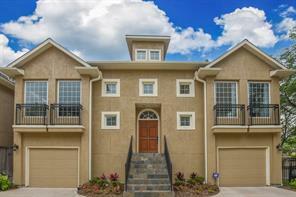 THIS WONDERFUL CUSTOM HOME IS MOVE IN READY! New Construction!! 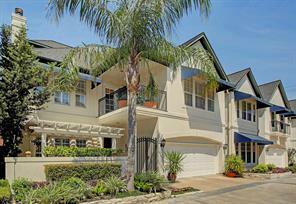 Spacious 3 story single family home in a private gated community of just 2 homes. Seamless open floor plan includes a formal living and dining room that leads to a chefs kitchen adorned with high end appliances and a sensational family room overlooking the large front yard. The upper floor has a theater and large entertainment area with outdoor space with a fireplace. Large windows provide great natural light. Elevator ready to all floors. Zoned into Briargrove Elementary. 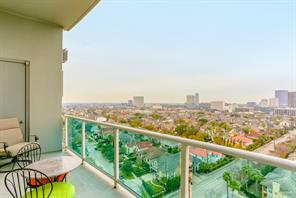 New, never lived in condominium in the Astoria conveniently located to the Galleria with all its shopping, amenities and fabulous restaurants. Astoria boasts a fitness center, pool, club room, conference room, valet parking and concierge service. 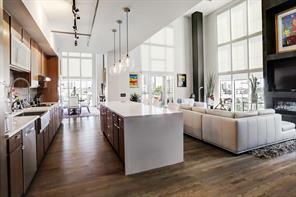 This spacious unit is 3 bedroom, 3.5 baths with Miele kitchen appliances including a GAS COOKTOP. 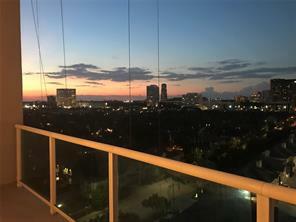 Panoramic views await you in your luxury condominium which has full service concierge, valet parking, and a secure, luxurious lifestyle perfect for those who want to experience all Houston has to offer...in style! PRICE REDUCED. 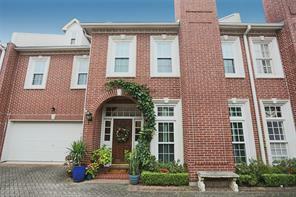 Stunning custom home in sought after and desirable Briarcroft. Home sits on spacious corner lot with lush landscaping, mature trees and one of the largest backyards in the neighborhood. This home features an open floor plan, 4 bedrooms, 1st floor master suite, immaculate finished custom walnut floors, arched entry with wrought iron doors, rustic hardwood beams, gourmet kitchen, 2 downstairs living areas with 2 floor-to-ceiling stone fireplaces and a huge 3 car garage with finished floors. The gourmet island kitchen comes with Viking cooktop, Subzero refrigerator and granite countertops. Quality custom cabinetry and beautiful real wood shutters throughout the home. In addition to 3 car garage there is enough parking behind security gate to comfortably park more vehicles. Great schools, excellent central location and convenient access to major freeways. A MUST-SEE HOME! 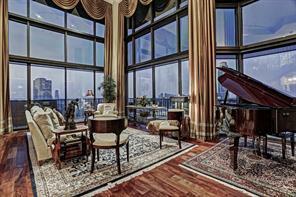 Stunning condominium with breathtaking views of the Galleria and Post Oak Blvd. This property features high end stainless steel appliances (Miele & Bertazzoni), hardwood floors, open floor plan, floor to ceiling windows in living/dining room/kitchen area. Large rooms and walk-in closets throughout. This building is a Randall Davis & DC Partners building steps away from great restaurants and shopping. This unit includes 2 parking spaces (#'s 93 & 94) and one storage unit (#19). Oversized lot! An integration of architecture, natural light, beautiful materials & interior floor plan! Tanglewood area/ gated enclave of 3 hms. Open floor plan, formals, den, lg. 3rd fl. media/gamrm/4th bdrm w/full bath. Gourmet kit with 11 x 4 granite island, Thermador appl., granite countertops. Mstr suite w/2 lg. walk-in closets, built-ins, gorgeous bath w/sep.shrw & whirlpool tub, 2 additional bdrms en-suite, roof top deck w/FP, elevator to all 3 floors/ pool w/waterwall/ privacy! Timeless single story mid-century design by MacKie and Kamrath Architects with beautiful renovations by Leslie K. Elkins Architecture. 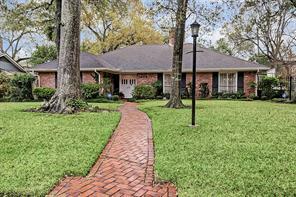 The home sits on a fabulous oversized lot that enjoys the use of an additional easement. Generous room sizes throughout the 4 bedroom and 3.5 bath home. Light filled cook’s kitchen has SS appliances, granite counters, and large peninsula breakfast bar. The floorplan offers great entertaining spaces with views of the gardens in both the front and rear of the home. The master suite features a trey ceiling, walk-in closet, and bath with double sinks, air jetted spa tub and separate shower. Hardwood floors throughout the living areas and bedrooms. Additional structure with exercise room and carport. Gated drive and ample secured parking. 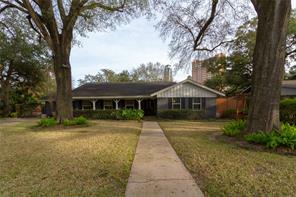 Spectacular opportunity to own a large property in the Tanglewood area convenient to The Galleria, Post Oak Boulevard, and Uptown Park. This traditional style patio home was designed by Lucian Hood with exquisite architectural details and a very "livable" floor plan. Situated on a quiet part of Nantucket, this home is one of four patio homes in this gated community developed by Wm Carl. There is a generous parking court and a three-car garage. The interiors feature elegantly appointed formal rooms with wood moldings and hardwood floors. Generous room sizes throughout! An open kitchen and family room. 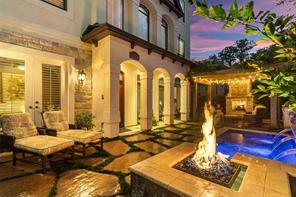 Wonderful outdoor spaces with three separate outside patio areas. The master bedroom features two separate master bathrooms, a small office area, and generous closet space. Hardwood floors throughout the upstairs. Equipped with elevator to the second floor. The third floor has a bath and closet and could be another bedroom, exercise room, or office area. Ideal home for anyone desiring a "lock and leave" low maintenance lifestyle, but does not want to sacrifice space and style. 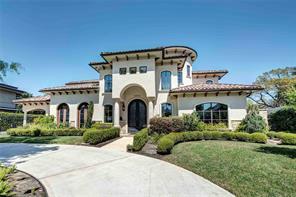 Amazing Mediterranean home with beautiful curb appeal!! Fabulous open plan for elegant living & unparalleled privacy! 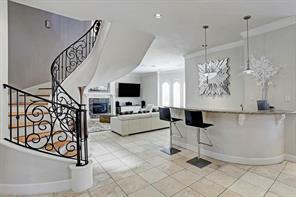 Grand 2 story foyer, marble floors,multi-level ceiling detail & sweeping stairs. Chefs kitchen with custom cabinets, 48''cook top, double ovens, sub-zero refrigerator all stainless. Large Master suite with seating area, wood floors and hug custom closets. Spa like master bath with double sink, separate tub and shower! 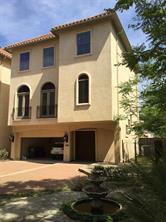 Large media room upstairs with 4 bedroom all en-suite baths & granite counters. Serene backyard with covered patio! **** OPEN HOUSE SATURDAY 4/20, 2 PM - 4 PM. Location! Location! Location! On a large lot nestled in Del Monte, a beautiful Galleria area neighborhood, this home exudes pride of ownership! A gracious, generously proportioned 4 bedroom, 4.5 bath ranch style home, it truly is an escape in the middle of the city. Boasting two large living areas, the owner's retreat and a secondary bedroom all opening to an expansive resort like backyard with an oversized pool, waterfall, spa and extensive decking. Perfect for family and entertaining, the gourmet kitchen will inspire your inner chef with its stainless steel appliances and granite countertops. It is the heart of this home easily flowing to the family room, game room and multiple dining areas including a breakfast bar, casual and formal dining. An oversized circular drive offers ample off street parking. Ideally located to enjoy easy proximity to the Galleria and the dining and shopping coming with the new Boulevard Project. 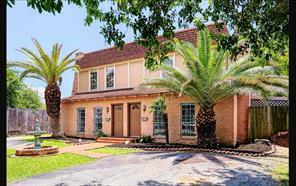 Fantastic home located on a quiet street in Briarcroft. Functional and practical floorplan with Master Bedroom and additional 2 bedrooms down, 2 bedrooms upstairs with full bath. Expansive gameroom upstairs offers multiple uses as a second office, media room or playroom. Galley kitchen with stainless steel appliances flow seamlessly to the breakfast room and family room. Spacious formal living and dining with hardwood floors allow for excellent entertaining spaces. Oversized study with built-ins and privacy doors; Gated driveway and detached garage allows for fantastic and contiguous play spaces in the back yard. Triple French doors in the breakfast and family room allow abundant light and excellent views of the backyard. High ceilings throughout, and exceptional vaulted ceilings in upstairs rooms. Covered patio is spacious and allows a shady spot for relaxation. 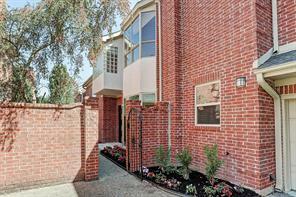 Truly a gem in the heart of Briarcroft, with short commutes to the Galleria, Uptown and Greenway! Masterfully designed custom build in sought after Briarcroft subdivision. Circular drive way with auto gate, porte cochere, inviting curb appeal, impressive entry, stunning chandelier fixtures thru out, sweeping rod iron staircase, soaring high ceilings, first floor master suite w/ fireplace and sitting area, grand master closet, study w/ built ins, generous size kitchen, SS appliances, commercial grade cooking range, tons of natural lighting, retreating sunroom, crown mold, 9” baseboards, wet bar area, 3 bdrms + gameroom up and too much more to list. Must come see for yourself! BONUS 349 sq ft sunroom NOT included in the total 4,531 sq ft of the house. 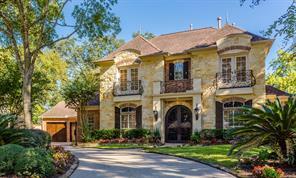 If you are looking for an exclusive lifestyle in the Galleria's are, this 4300+ sqft, 4 to 5 bedrooms, 4 full and 1/2 baths gated home is what you are looking for; it has it all! Luxurious open concept Chef-Inspired kitchen with large island, plenty of 42" cabinetry, best quality appliances, design refrigerator, large walk-in pantry, and breakfast area. Oversized living area with spectacular wall window that provides a flow of light throughout the home. Open pull area, media room. Fantastic backyard to fulfill all your desires; elongated pool, large covered patio, outdoor kitchen, outdoor oversized fireplace, romantic gazebo, and so much more! Room size is approximate buyer is invited to verify. Tenant occupied until May. 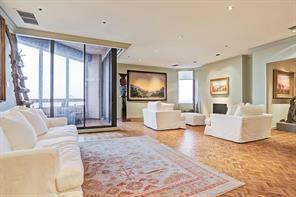 Luxury two-story penthouse just outside the loop in the very distinguished St. James. Beautifully updated kitchen. Two bedrooms w/gorgeous views. Spacious Master suite with separate sitting area. Kitchen includes granite countertops, Sub-Zero & Thermador appliances. Additional 3rd room could be a family room or a bedroom. Private elevator within the Unit. Balconies off living room and bedroom. 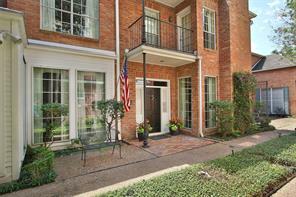 Location is close to surrounding Galleria and Uptown Park shopping. St. James offers 24 hr. concierge, valet parking, pool & tennis plus fitness center. Basement Storage included with Unit. 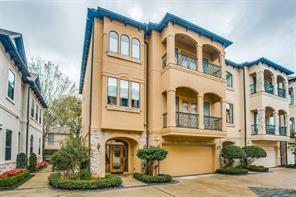 With elegance, impeccable style, and an exceptional family living design, this outstanding home is located in a charming suburban-feel neighborhood, in the heart of the Galleria! Complete with a handsome study, formal dining room, fabulous open living kitchen and family room, game room and four bedrooms with private baths, this home offers everything for dynamic family living with impressive style. Each detail has been custom chosen and the master retreat and spa-like bath are incomparable! 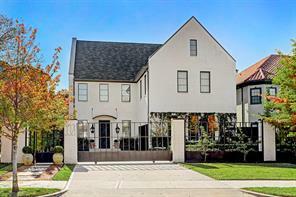 Situated in close proximity to the Galleria, the medical center, museum district, downtown and much more you can quickly understand why this home is at the irresistible crossroads of luxury and convenience. Welcome to paradise! Poised for large scale entertaining, this spacious 4BD/3.5BA Mediterranean estate is nothing short of spectacular! Come live a lifestyle of prestige in this first class luxury home boasting of stunning curb appeal with panoramic city skylines, desirable privacy & exquisite outdoor retreats encompassing several exquisite balconies, enclosed backyard with gunite pool & spa, plus incredible entertainer's rooftop terrace with fireplace & summer kitchen. Gorgeous hardwood floors, intricate millwork & coffered ceilings highlight the home's palatial layout while offering every amenity for the discerning homeowner, including master bedrooms on both the first & third floors, gourmet kitchen with professional-grade Viking appliances, living room with wet bar and mantled fireplace, private office, plus incredible media/theater room. Don’t miss the opportunity to own this magnificent property. Schedule your private viewing & experience the magic of this breathtaking home. 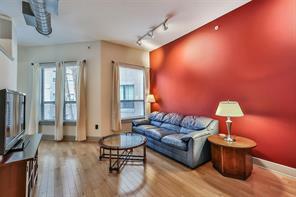 PRIME location in the heart of Uptown encompassed by magnificent trees. Ideal building site, however, the house did not flood during Harvey and has great remodel potential with heated pool & spa. Windows were replaced in 2012 and the complete HVAC system was installed in 2016 along with other improvements (per Seller). 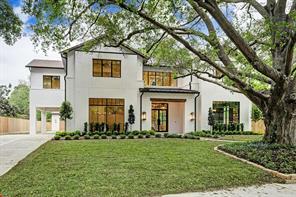 Gorgeous, open floor concept home in the heart of the Galleria. Amenities include a spacious, gourmet kitchen w/ granite countertops, breakfast room, formal living spaces, oversized bedrooms w/ large closets, honed travertine flooring, plantation shutters, hardwood flooring throughout 2nd floor, and water softener system. Exterior amenities include pool/spa redone in 2015 per Seller, circular drive, gated access, 2 car garage + attached carport, covered patio, and 2nd floor balcony. Master suite includes a sitting area, luxurious walk-in closet w/ built in shelving, and large master bathroom. AMAZING OPPORTUNITY TO LIVE NOW AND BUILD LATER.BRIAR GROVE ELEMENTARY. HIGHLY SOUGHT AFTER Del Monte SUBDIVISION. SPRAWLING ONE STORY 4 BEDROOM HOME WITH SOME UPGRADES. PARK LIKE SETTING ON THIS OVER 20,000 SQAURE FOOT LOT WITH POOL. MATURE TREES MAKE THIS AN OASIS IN THE GALLERIA. 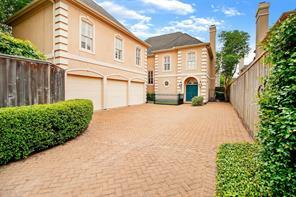 CLOSE TO EVERYTHING, 610, HIGHWAY 59, GALLERIA, GREENWAY PLAZA, RIVER OAKS SHOPPING AND MORE. HOME IS READY FOR A REMODEL OR, LIVE IN AND ENJOY. NEW BUILDS IN AREA EASILY HIT 2.5 MILLION. GREAT STREET AND WELL PRICED. North of Inwood, walking distance to H.E.B. and fine restaurants, this lovely end unit has it all. 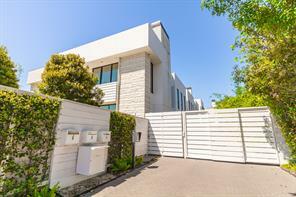 It is in a beautifully maintained gated enclave of 8 homes, with a wide motor court. Enjoy evening sunsets and al fresco dining on the fabulous wide brick patio the length of the home. The elevator extends to all 3 floors. The main living area on 2nd level is open concept with breakfast/morning room, a spacious kitchen with very large island, top of the line Viking appliances, overhead and under counter lighting. The elegant dining area overlooks the formal living area with fireplace and walk out balcony. A separate wine room/bar adjoins the living area. Walk up to the 3rd level where you'll find the spacious Master suite with walk out balcony and sumptuous bath. The large laundry room and a 2nd bedroom are also on the 3rd level.. 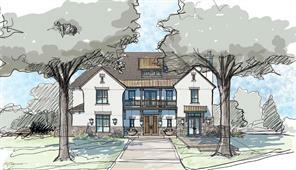 The welcoming first floor entry leads to the elevator, media/game room, and large guest bedroom with en suite bath. Stunning patio located in highly desired Westhaven Estates, north of San Felipe!!! From the stylish exterior to the elegant interior, this home is sure to "wow!" This fabulous home built by Prestige Builders is "Free Standing" and features incredible Formals, Den, Gourmet Kitchen and an Exterior, Covered Patio on the first floor- just perfect for entertaining. While the 2nd Floor allows for an incredible Master Retreat complete with sitting area, large bath with his and her closets; PLUS 2 Guest Bedrooms w/ en suite baths and Laundry Room. The 3rd floor has a large room that can be used as a 4th Bedroom or Upstairs Game Room- it has it's own bath as well. 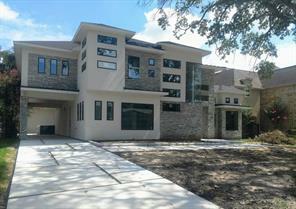 Beautiful, luxurious custom built contemporary Galleria home. Superior construction and stunning architectural features. Large formal living and dining room with French doors overlooking private patio area and spectacular kitchen with top of the line appliances, all bedrooms are on second floor with ensuite bathrooms and large walk-in custom closets! Large master bedroom suite with custom build bathroom, private jacuzzi and large walk in closet. Third floor game room with full bath would make a great 4th bedroom. 3rd bedroom can be used as a guest or Mother-in-law suite. Plenty of storage space. Exemplary Elem and Mandarin Schools. 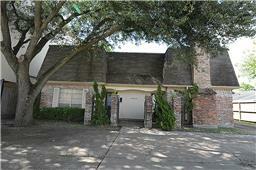 Walking distance to Galleria Mall and great restaurants. Spectacular 2 story penthouse on the 26th and 27th floor commanding incredibly beautiful day/night time panoramic views of Downtown and the Galleria.Elegant open floor plan,with spacious room sizes,features floor to ceiling windows and a wrap around 320 sq ft balcony.A gracious warm and comfortable feeling pervades throughout. Hardwd floors,solar shades,custom drapes,wood burning fireplace wet bar,custom lighting and many built-ins are a few of the fine features.The spacious master bedroom and bath are on the 2nd floor plus an additional large sized bedroom/ensuite bath.The 3rd bedroom is located on the first floor and currently used as a study.A pullman style gourmet kitchen has loads of counter space and loads of storage cabinets.Adjacent is the over sized utility room customized with extra storage. 3 parking spaces.The Bristol is a full service building- 24 hr concierge,valet parking,heated swimming pool,party room,landscaped grounds,walking path, fitness center,on site management. Attention all investors!! LOCATION LOCATION LOCATION!! Great Business opportunity! This is a 2 unit property in a gated community producing a POSITIVE cash flow. Excellent Galleria area location. Both units are rented and completely updated. Unit 1804 is approx 2300 sq ft with 3 bedrooms / 2 full and 1 half bathrooms with a large front yard; Unit 1806 is approx 3000 sq ft with 5 bedrooms / 4 full and 1 half bathrooms. Both properties have a Mediterranean stucco exterior with lush landscaping and maintained very well, open floor plan, tile and wood flooring, granite counter tops, quality appliances, under cabinet lighting, Master bathroom with jacuzzi and separate shower, gas fireplace, wired for alarm, crown molding and private patios. Low HOA. 5 minute walking distance to highly accredited Briargrove Elementary. Low maintenance homes. 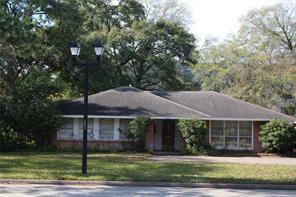 Highly desirable area close to Galleria shopping and fine dining, etc. Fast and easy rentals! 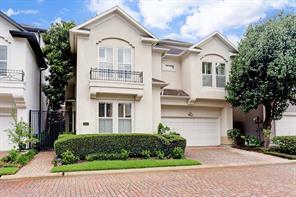 Luxurious Mediterranean 3-story home in Galleria/Tanglewood area, large kitchen with island, stainless steel appliances, two large bedrooms on 3rd floor. 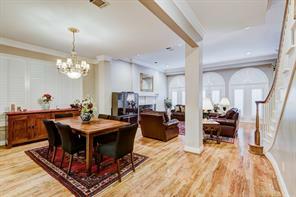 Fabulous opportunity to live in a beautiful, large, light-filled two-story penthouse in a prime location close to the Galleria. Lock & leave lifestyle w/3 bedrooms (one on 1st floor, 2 on 2nd floor) with internal staircase & exterior elevators going to both floors. 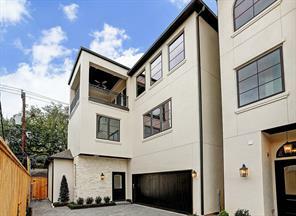 Two-story living room w/fireplace & floor-to-ceiling windows, wrap around balcony, large master suite, superb storage throughout, excellent building amenities inc. 24 hour concierge, valet parking, pool, tennis courts, gym & 3 covered parking spots. 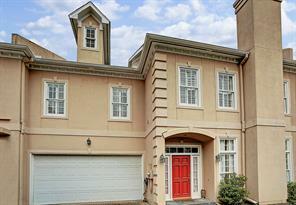 Lovely two story traditional home on 11,325 square foot lot (per HCAD). The property is located at the end of John Dreaper which is a horseshoe street with close proximity to the Galleria area. Generous room sizes throughout with Master Bedroom plus two bedrooms with ensuite baths and a sunroom upstairs. Possible fourth bedroom and bath downstairs. Charming front porch overlooking large treed front yard. Several properties in the area have been subdivided - Buyer must do own due diligence. Home is being sold "As Is" $250 op fee for 10 days. Proof of funds required on all cash sales and approval letter from lender if conventional loan is used. 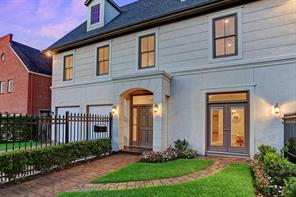 This fabulous like new home located near the Galleria, Briargrove and Tanglewood has it all. A side yard which is great for pets is a wonderful plus. Great natural light through out with outstanding features makes this home a must have. Elevator access to all 3 floors. 1st floor with bedroom, bath and entertainment area with an area for a large screen TV plus a wet bar. 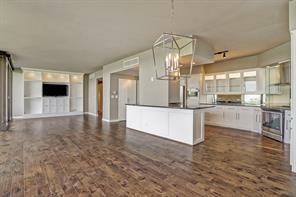 2nd floor open living/dining off island kitchen is fabulous for entertaining. Oversized master on 3rd floor with tub, separate shower + large closet with built-ins. En suite bedroom and the utility room also on the 3rd floor. Study area off the master. A beautiful and fun property to show. Location! Location!Location! In the heart of the city ,nestled in a quiet, friendly neighborhood is this Gorgeous two story traditional home on 11,325 square foot lot (per HCAD). 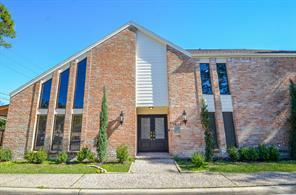 The property is located at the end of John Dreaper which is a horseshoe street with close proximity to the Galleria area, walking distance to great restaurants and grocery stores. Generous room sizes throughout with Master Bedroom plus two bedrooms with ensuite baths and a sunroom upstairs. Possible fourth bedroom and bath downstairs. Charming front porch overlooking large treed front yard. Several properties in the area have been subdivided - Buyer must do own due diligence. All measurements are as per HCAD, please verify for accuracy. NO HOA !! 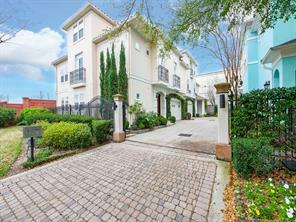 Never been lived in spacious Galleria townhome; started in 2005, this home was completed in 2018 with refinished wood floors, with new shoe mold added; elevator has had new brakes, buttons and servicing; water cutoff, plumbing fixtures, appliances (Thermador), every plug, light fixture – all new per seller. Spacious open living, formal dining plus one bedroom/ bathroom down; master bedroom, utility room and two other bedrooms on the second level (all hardwoods on this floor), carpeted game-room and flex room (could be 5th bedroom) on the third level, with ½ bath. 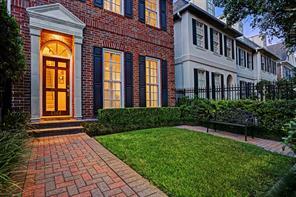 LED lighting throughout this home; easy walking distance to the Galleria shops and restaurants nearby. Ready for move in! Drive by only! No Restrictions. 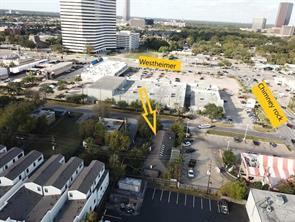 11,400 sq ft lot in the galleria-Prime location for your business or multifamily development- just one block from Westheimer. Being sold AS IS for LOT VALUE only. Additional 22,000 sq ft available next to this lot making over 33,000 sq feet strip. This Briarcroft home is an entertainer’s dream featuring oversized living areas & two separate outdoor spaces. The large family room features vaulted ceilings, recessed lighting, surround sound & wood burning fireplace. The gourmet kitchen boasts custom cabinets, granite counters, stainless appliances, double ovens, gas cooktop & breakfast room. Beautiful French doors lead out to a backyard oasis complete with heated pool, spa, fountains, & covered patio area with outdoor speakers. Built-in wine fridge & bar, full-sized utility room & large storage room inside the home. Hardwood flooring is in all bedrooms. 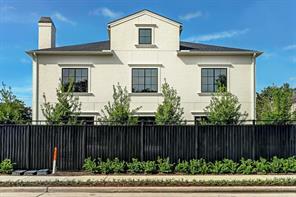 Zoned to the award winning Briargrove Elementary & centrally located just minutes away from the Galleria. Did not flood per sellers. DID NOT FLOOD. 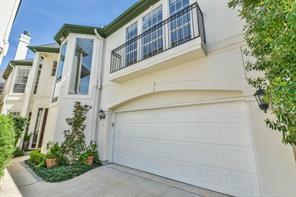 Beautifully updated immaculate 3/4 Bedroom 3.5 bath home in ideal gated enclave! New stainless and granite kitchen, white marble floors and counters in baths, beautiful free standing steeping tub, seamless shower stall, double vanities, double closets in Master, AC and heat new in 2016 per owner, All fresh paint, New solid wood treads rail on stairs to all floors, Water feature and patterned concrete on private patio, High ceilings up and down, walk in closets and attic. Walk to the Galleria! 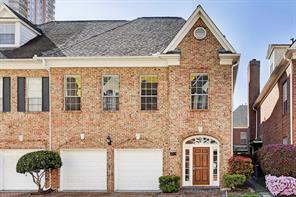 5 Bedroom, 3.5 baths in sought after St George Place (between Chimney Rock and W. Alabama). 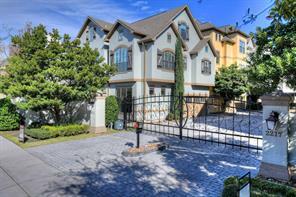 Prestigious Mandarin Immersion Magnet School nearby. Brick construction, 2-story, built in 2000, with 12' ceilings, ceiling fans throughout, elegant wood & wrought-iron staircase, Kitchen w/island & stainless appliances (gas range) and granite countertops. Two Luxurious master suites - one up, one down. All bathrooms have double vanities and the downstairs master has jetted tub. Garage has special 240V car charging designed for electric vehicles. Large circular drive for additional parking. Current owner uses the home as an investment property. 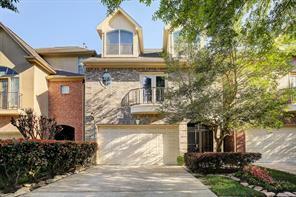 Great rental potential due to proximity to the Galleria. Furniture is available at an additional price for turn-key move-in. Immaculate condition. NEVER FLOODED! Throughout this striking home nestled in the desirable Galleria area, clean lines, expanses of glass, and soothing neutral hues create a powerful yet calming visual impact, offering a setting ideal for both spectacular entertaining and serene private living. This soft traditional inspired home is a testament to modern indoor and outdoor living. Beautifully renovated in 2014, the home offers exquisite finishes; a master bedroom on the first floor; three bedrooms plus a game room on the second floor and a beautifully landscaped patio with water feature for outdoor enjoyment! In addition, the home sides to additional green space which is pet friendly! The gated location offers close proximity to restaurants and superb shopping plus an easy commute around town!. Click on the accompanying photos for the full story. You won't be disappointed! 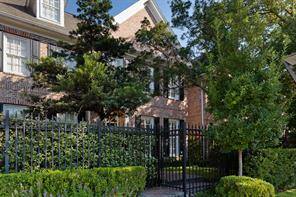 Beautiful & sophisticated SF home in a gated enclave in the heart of the Galleria! Front entry opens to formal living & dining, featuring gorgeous hardwoods, high ceilings, gas-log fireplace, custom plantation shutters & elev. shaft. Light-filled den w/wall of French doors overlooking the back outdoor space & also open to the kitchen. Well-appointed SS kitchen w/5-burner gas cooktop, wine fridge & honed granite counters w/surface lighting. Lovely traditional staircase leads to the 3 bedrooms+2 baths & 3rd floor game room/bath. Second floor master w/9-ft. ceilings, plantation shutters & luxury bath featuring marble floors, double sinks, beverage fridge, cable connection w/built-in speakers, jetted tub & separate glass shower w/bench. Two secondary beds w/shared bath also on 2nd floor. Third floor game room w/full bath & large storage closet, could be 4th bedroom, guest suite, or private office. Great location w/tons of shops, fine dining & eateries. Quick access to freeways & Downtown! 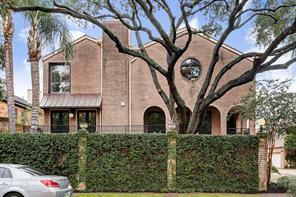 Exclusive patio home located in a prime location near Tanglewood; well-maintained 4 bedroom, 3.5 bath home has first floor living, high ceilings, neutral finishes and is elevator capable; Viking and Bosch appliances, located on corner inside a gated enclave with a private patio. 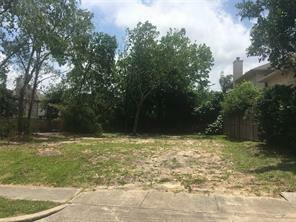 Don't miss this like-new home located near the Galleria with a side yard for pets or just lounging. There is an abundance of natural light throughout the home. The 1st floor has bedroom/study, bath and entertainment area with space for a large screen TV and a wet bar. The 2nd floor has an open living/dining off island kitchen and balcony for grilling. Oversized master bedroom with balcony, lovely bath and large closet. Study area off the master. Elevator to all 3 floors. Lots of hardwood floors. 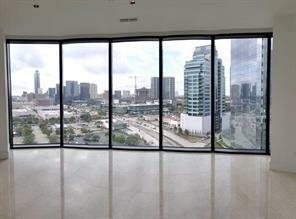 Penthouse views located on the 24th floor! 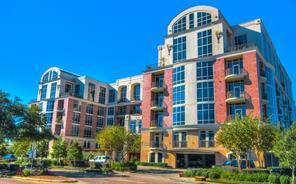 Uptown Luxury Condominium Building located in the Galleria. 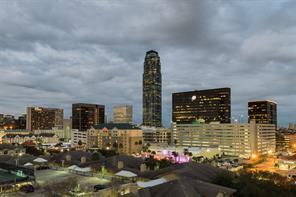 Amazing proximity to high end shops and Houston's best Restaurants. Many upgrades included in this apartment to include high energy lighting , 10 ft ceilings throughout, recessed lighting, hardwood floor throughout the apartment, modern tile in the bathroom, automated blinds, top of the line ceiling fans, smart lighting, two custom closets design built out by California Closets and TCS Clostets.. Kitchen area includes high end appliances by Miele and white marble countertop and Grey tones within the unit. The Bathrooms are both modern with marble counter tops, a soaking tub in the master bedroom and both showers are large with a frameless door, and each shower includes a rain shower. 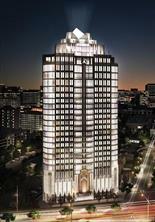 Full Service 24 hr Concierge/valet and 8th floor pool, gym, meeting room and recreation party room and full kitchen. 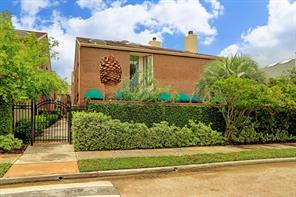 Spectacular Townhome with Major updating and remodeling in the heart of the Galleria .3 bedrooms plus Office 3.5 baths,Formal living and Dining,, has a great open floor plan with high ceilings. Located on cul de sac across from a fountain. Gated Entry to home, Hardwood floor throughout first floor, Rich Crown Moldings, Recessed lighting, Beautiful chandeliers , Charming Sunroom, Beautifully updated Master suite with 2 closets and his and hers baths.Amazing Gourmet updated kitchen with large island, SS appliances, Quartz countertops and many Cabinets ,French doors open to 2 story room with skylight. Roof and Windows been replaced. ELEVATOR. large Rooftop Terrace Convenient to shopping, restaurants, & several parks.,NEVER FLOODED, too many features to mention. Shows beautifully. 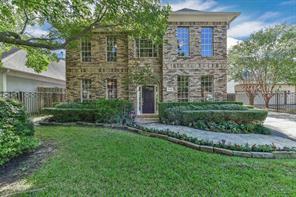 Enjoy your beautifully updated townhome, tucked at the end of a secluded cul de sac, in the heart of the Galleria area. Enter the two story foyer with its sweeping front staircase, and the generous living room with high ceilings, a dramatic fireplace, and serene atrium views. The downstairs bedroom and bath, may serve as either a master suite, or a welcoming nest for your guests. The kitchen, adjacent sitting room and breakfast area, have all been recently remodeled with a contemporary flair. Upstairs, you will find 3 bedrooms and 2 baths. The master suite has been recently remodeled. The master bath now invites you with an oversized shower and dual vanities. the master closet is well fitted, and tucked behind dramatic doors. There is a very spacious secondary bedroom with oversized closets. This is truly a very special home. INCREDIBLE VALUE! 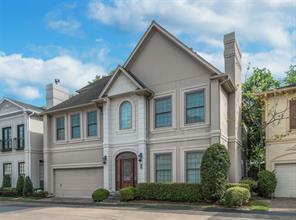 Stunning, traditional Galleria-area home is exactly what you've been looking for! With newly refinished genuine hardwood floors and brand new carpet throughout, as well as fresh interior paint, this stately home is move-in ready and leaves nothing to be desired. With an open floor plan, generously-sized rooms, and an attention to detail that is unmatched, you will love the elegant touches throughout this beautiful home, which is elevator capable. The home is zoned to exceptional schools, including Briargrove Elementary within walking distance. The location is unbeatable - Westhaven Estates is an exclusive, quiet community with NO HOA, just minutes from all the dining, shopping, and entertainment the Galleria has to offer! In this location, at this price, it won't last long! Recent Price Adjustment!! 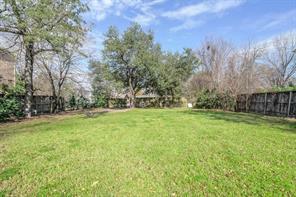 Just over 11,250 sq ft lot situated one block off Westheimer in the Galleria. No restrictions --Build here ! Duplex next to this vacant lot is also for sale, at $750k Together these 2 properties are over 22,000 sq ft. Each listed separately. BRING ALL REASONABLE OFFERS Unbeatable price for 3864 SF Townhome with ELEVATOR Spectacular 2 Story Townhome with Major updating and remodeling in the heart of the Galleria, 3 bedrooms plus Office 3.5 baths,Formal living and Dining, Large Den with fireplace,has a great open floor plan with high ceilings. Located on cul de sac across from a fountain. Gated Entry to home, Hardwood floor throughout first floor, Rich Crown Moldings, Recessed lighting, Beautiful chandeliers , Charming Sunroom, Beautifully updated Master suite with 2 closets and his and hers baths.Amazing updated Gourmet kitchen with large island, SS appliances, Quartz countertops and many Cabinets ,French doors open to 2 story room with skylight. Roof and Windows been replaced. large Rooftop Terrace Convenient to shopping, restaurants, & several parks., DID NOT FLOOD, too many features to mention. Shows beautifully. 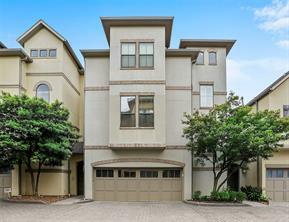 Sophisticated, well-maintained 3-story patio home in gated Villas on Potomac, conveniently located in desirable Galleria area close to shopping, fine dining, entertainment, private & preferred public schools. Abundantly & well-appointed this home boasts attractive architectural features including 10-ft ceilings adorned with deep crown moldings, classic built-ins, floor to ceiling windows with transoms & wood shutters, gleaming hardwood floors, granite & quartz counters. 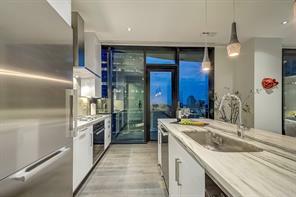 Other features include posh designer lighting, new stainless Thermador appliances, designer wallpaper & paint, expansive granite island & custom cabinetry. Second floor living boasts grand master retreat with private balcony, spa-like updated bath with quartz counters, tiled shower, freestanding tub and spacious closet; 2 well-appointed secondary bedrooms served by an updated Jack & Jill bath & laundry. Colossal third floor with updated full bath and large closet, can double as a 4th bedroom or game room. PRICED TO SELL!!! A Soft contemporary - Modern design w/ unique curb appeal.. 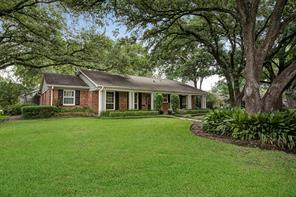 Located close to Post Oak Blvd. & 5 minutes to houston's major Mecca.. the Houston Galleria... Also close to Highland Village & the new River Oaks shopping district (Houston's Rodeo Drive). 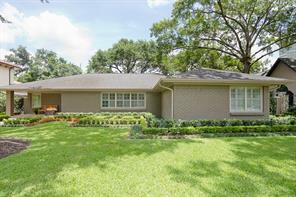 Charming 4/3 1/2/ 2 (3510 Sq Ft) w/ Master Suite Down.. On a desirable full size Lot W/ Circular Drive accented by a beautifully centered Live Oak tree.. 1 block to St George Elementary School & 2 blocks to The Mandarin Magnet School. READY for MOVE-IN !!!! 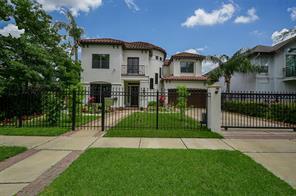 Splendid Freestanding 3 story stucco in beautiful gated enclave of Westhaven Estates. This fabulous home boasts an updated Kitchen with glass tile back splash, gas cook top, farm sink, Moen faucet, granite bar, Quartz counter tops. Other features include hardwood flooring, Plantation shutters, blinds, surround sound, double pane windows, dimmer lighting, updated light fixtures, crown moulding. Sensational master suite with fireplace, study/flex room with shelving; enormous master bath with dual shower, double sinks, huge walk-in closet. Secondary bedrooms with full bath, marble counters, subway tile. Third floor features awesome game room; another bedroom with full bath. Stunning rooftop terrace for relaxing evenings, recently installed slate flooring; two car oversized garage with epoxy flooring, elevator ready. Gated community with meticulously maintained grounds where you can enjoy a wonderful carefree lifestyle in this magnificent home. A gem! 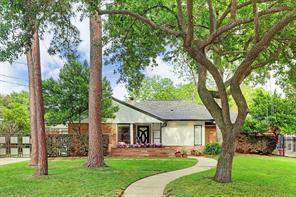 Classic 1960 ranch style home situated on a 11,800 sf lot (per HCAD). Offered at lot value this 4 BR/3BA home features a Formal Dining-Living combination with hardwood flooring and fireplace, and a Family Room with additional fireplace and clay tile flooring. The Kitchen was updated approx. 10 years ago* with granite counters and some appliances have since been replaced. A wood-like laminate floor is present in the Kitchen and the adjoining Breakfast area. All bedrooms are carpeted. Baths are in original condition. Roof is approx .. 11 years old*. Home is livable, but has known defects and is offered strictly in its "as is" condition. Seller will make no repairs. 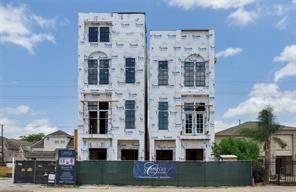 Desirably located with new construction transitioning the neighborhood. (*) per Seller. 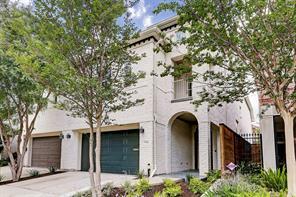 Never been lived in spacious Galleria townhome; started in 2005, this home was completed in 2018 with refinished wood floors, with new shoe mold added; elevator has had new brakes, buttons and servicing; water cutoff, plumbing fixtures, appliances (Thermador), every plug, light fixture – all new per seller. Spacious open living, formal dining plus one bedroom/ bathroom down; master bedroom, utility room and two other bedrooms on the second level (all hardwoods on this floor), carpeted game-room and flex room (could be 5th bedroom) on the third level, with ½ bath. 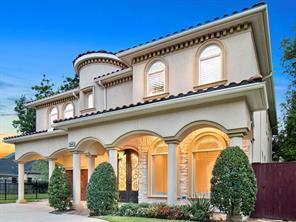 LED lighting throughout this home; easy walking distance to the Galleria shops and restaurants nearby. 24/7 security patrol in the neighborhood. Ready for move in! Situated within walking distance of the renowned Mandarin Immersion Magnet School, as well as top-rated The School at St. George Place. Enjoy proximity to I-610 and I-69. Don’t wait – book your private showing today! Well maintained 3 (or 4) bedroom, 3.5 bathroom, brick home on cul-de-sac street in St. George's Place. Home features open first floor plan with living and dining areas, ELEVATOR, in ground pool with waterfall feature, hardwood floors, premium stainless steel appliances, gated entry, tankless water heater, ADT security wired throughout, new carpet on 2nd and 3rd floors, new AC unit and more. Master suite features frameless walk in shower with his and her shower heads and massive walk in closet. Study/library can be used as 4th bedroom, has access to balcony and boasts built-in desk. Second floor game area features updated wet bar with high end beverage cooler. Third floor features two, huge, secondary bedrooms with an ideal setup for a family. Home has tons of attic space for storage. Back patio is fully fenced, pool has katchakid system installed, and landscaping has been recently updated. Home has gated entrance and tons of curb appeal! This house is a must see!!! Brilliantly reimagined and remodeled as a modern residence, the open floor plan provides the ultimate in indoor-outdoor living. This back unit with large outdoor entertaining space provides unparalleled privacy in an urban setting. Statement making stacked stone quartz walls enhance the minimalist d cor. Abundant storage and four en suite bedrooms make living easy. A short walk will get you to many of Houston's trendy restaurants. Seller has documentation of over $250,000 spent on updates. Gated Recent Construction. High end finished & detailed craftsmanship. Open concept living, dining and kitchen. Hardwood floors throughout. Well appointed bathroom with travertine floors and tile. Den with gaslog fireplace and cast stone surround. Kitchen w/ professional stainless app package, granite CT & soft close drawers. Master bedroom with 10ft ceiling. Luxurious master bath with jetted tub. Wired for home audio & security. Elevator capable. Energy star 3.0, cedar garage door, perfect lock and leave. Motivated Seller!! Recently updated 4 bedroom patio home with POOL in St George Pl. Located on "one-of-a-kind" street (gated-off at east/west) and within walking distance of Galleria shopping mall and upcoming development on Post Oak. Not only will you LOVE all the updates (NEW ROOF, hardwood floors in living/dining, fresh paint, stainless steel appliances, recessed lighting, decorative chandeliers, crown molding, custom built-in cabinets, new carpet, all cabinets recently painted, subway tile backsplash, and AC serviced) you will LOVE the convenient location to all major freeways, shopping, and entertainment. Not to mention, first floor living with spacious backyard and elevator capable. NO FLOODING DURING HARVEY!!! Fabulous Free Standing Executive Patio Home with exceptional updates throughout in a great Galleria location. First floor living with beautiful spacious neutral colored rooms and a large private patio and small yard. Features include: Elevator Closet, Hardwood floor up and down, Plantation Shutters, High Ceilings, 2 Fireplaces, 2 Large Walk in Master Closets, Gated Community Entrance. High End Updates* include: Kitchen and Bath remodels, Granite Counters in Kitchen and Glass Tile Backsplash, Marble in Baths, Marble Floor in Bathrooms, Plumbing, Lighting, Electrical and much more. Roof (2014) Downstairs AC Condenser Replaced (2014), Stairway Carpet (2018), Energy Efficient Windows in front of home (2018) and more. Walk to Restaurants and Shopping. This home is a lovely sanctuary from busy city life with all the benefits of a city location. Brilliantly built with stunning finishes. Great for entertaining and locking and leaving. Elevator capable. Living, dining, kitchen all open to each other. Light and bright with city views. Balcony off of living room. Luxurious master, master bath and closet. Library landing. Large secondary bedrooms with en- suite baths. Lots of storage. Spacious side yard. Great location - Uptown District area; walking distance to great shopping and restaurants and schools. 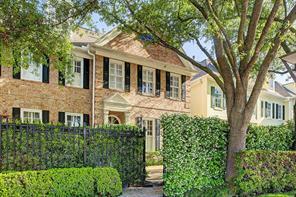 Beautifully updated immaculate 3/4 Bedroom 3.5 bath home in ideal gated enclave! New stainless and granite kitchen, white marble floors and counters in baths, beautiful free standing steeping tub, seamless shower stall, double vanities, double closets in Master, AC and heat new in 2016 per owner, All fresh paint, New solid wood treads rail on stairs to all floors, Water feature and patterned concrete on private patio, High ceilings up and down, walk in closets and attic. 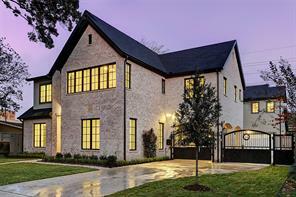 Gated Recent Construction w/ High End finishes & detailed craftsmanship. Fenced Yard!Open concept living, dining, kitchen. Hardwood Floors Throughout. Well appointed Bathrooms w/ MARBLE floors and tile. Den w/ gaslog FP & cast stone surround. Kitchen w/professional stainless app package, granite CT & soft close drawers. Master w/10 ft ceiling. Luxurious master bath w/jetted tub. Wired for home audio & security. Elevator capable. Energy Star 3.0, Cedar garage doors. Motivated Seller, will review all offers. LOCATION, LOCATION, LOCATION! 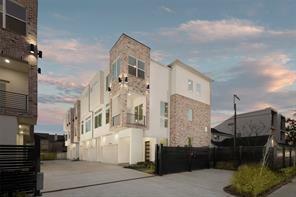 RARELY available property on this block of 38 impressive Lovett townhomes. A must see property. Quality features & recent updates that's sure to please. Open floor plan w/spacious living areas. Neutral decor, gorgeous new hardwoods throughout, extensive mouldings, gas logs, plantation shutters, recent stainless steel appliances, clean, fresh and move in ready. 3 bedrooms or 2 bedrooms w/a 3rd floor bedroom or study. No flooding here ever, even during Harvey. 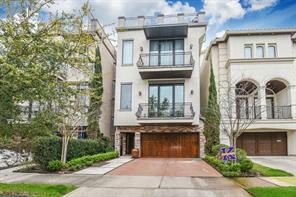 This luxury Lovett town home is a rare find with it’s highly sought-after location. Stellar features include gleaming hardwoods, wet bar, plantation shutters, and oak trees in the gated courtyard; it is a must see. The welcoming gated courtyard leads to the well appointed first floor living area, dining area, wet bar, powder room, kitchen and breakfast area. The second floor has a spacious master bedroom and guest bedroom with ample storage and closet space. The third floor can be used as a bedroom, study, game room or private gym. Elevator capable. 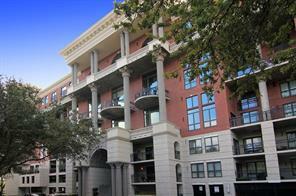 Enjoy the conveniences of living in the heart of Houston Galleria’s finest. With all it has to offer, you won't want to miss out on this opportunity! Decor available. Ask your real estate agent for details. 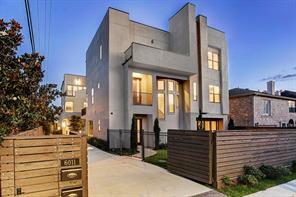 This St. George Place contemporary-style townhome lives traditionally w/amazing features. Guests are welcomed by tranquil water wall & private greenspace. Open entry leads to 2 BR w/Hollywood bath. An elevator or sleek stairs lead you to light filled & open living, kitchen & dining. Half bath, utility, & small balcony are nearby. 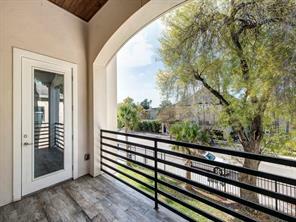 3rd floor boasts an efficient study w/desk & built-ins, & generous master both enjoy a spacious balcony. Master bath has 2 closets. Elevator opens in master! Hardwoods in living areas! Sophisticated and well maintained townhome in the heart of the Galleria; lovely curb appeal with brick exterior; private front patio under mature shade trees is the perfect spot for entertaining and unwinding; first floor living offers hardwood floors and 11 foot ceilings; island kitchen with breakfast area and built-in desk; large master suite with Jacuzzi tub & two large closets; third floor gameroom with attached full bath could also be 4th bedroom; walking distance to restaurants, shopping, Galleria and minutes from Uptown Park. All brick patio home with elegant up-dates including designer 4ft by 8inch flooring on all 3 levels, designer lighting, Viking/Samsung/Bosch appliances, gorgeous faux kitchen cabinet finish, dinning accent wall w/1st floor living, Drapes and window coverings & large back yard with room for small pool. Private cul-de-sac location w/limited access. 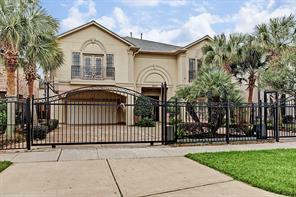 Centrally located w/superb freeway access & close to the Galleria. Two laundries-3rd fl. could be used as a mother-in-law suite, nanny's quarters, media/teenager retreat. Home is equipped with storm windows on 3rd floor and hurricane proof system. High end backyard Turf Carpet, garage ceiling bicycle hide away system and sophisticated camera system. 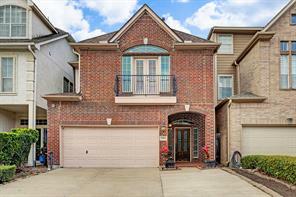 STUNNING UPDATES, HUGE KITCHEN WITH LONG, LUSCIOUS GRANITE COUNTERTOPS, TONS OF CABINETS, RECENT VIKING, BOSCH & SAMSUNG APPLIANCES & LOVELY LIVING RM OVERLOOK BIG 32’X29’ BACK YARD W/iITS EASY CARE ARTIFICIAL TURF. WIDE OPEN PLAN W/BUTLER’S PANTRY, LIVING, DINING & KITCHEN ON GROUND FLOOR. TO-DIE-FOR MASTER SUITE HAS FAB BATHRM, HUGE CLOSET & PRIVATE BALCONY + 2 MORE BEDRMS & LAUNDRY ON 2ND FLOOR. HUGE GAME RM—COULD BE 4TH BEDRM/GRANNY/NANNY/TEENAGER SUITE W/FULL BATH, LARGE CLOSET & PRIVATE LAUNDRY ON 3RD. DESIGNER ITALIAN 48” X 8” WOOD-LIKE PORCELAIN TILE FLOORING ON ALL LEVELS, BEAUTIFUL IRON SPINDLES ON WOOD TREAD STAIRCASES. ALL BRICK HOME W/DRIVEWAY PARKING FOR EXTRA CARS ON QUIET CUL-DE-SAC. 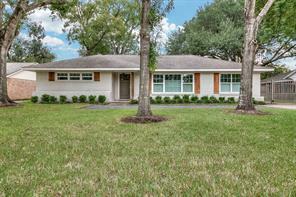 VERY CLOSE TO POCKET PARK & EASY WALK TO HIGHLY REGARDED ST GEORGE PLACE ELEMENTARY SCHOOL & MANDARIN IMMERSION MAGNET SCHOOL IN PEDESTRIAN & DOG FRIENDLY NEIGHBORHOOD. 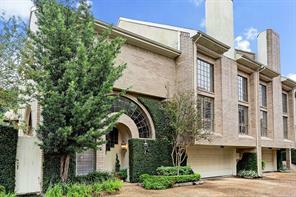 WALK TO THE GALLERIA, WATER WALL, LAKES ON POST OAK & RESTAURANTS. Brilliantly built with stunning finishes. Great for entertaining and locking and leaving. Elevator capable. Living, dining, kitchen all open to each other. Light and bright with city views. Luxurious master, master bath and closet. Library landing. Large secondary bedrooms with en-suite baths. Lots of storage. Nice size yard. Great location - Uptown District area; walking distance to great shopping and restaurants and schools. 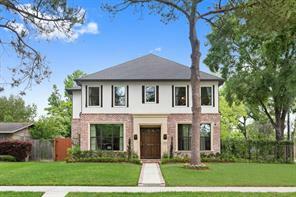 Exquisitely updated and superbly maintained home in highly-coveted Galleria area location, within walking distance to Whole Foods and upscale Galleria amenities. Elevator capable with exceptional storage throughout home. Updates include 16 SEER high efficiency A/C and heating systems, interior paint, granite kitchen countertops and back-splashes, and top-of- the-line Thermador and Monogram appliances. Beautifully appointed master bathroom updates include marble countertop, double Kohler sinks and faucet hardware, and marble shower with seamless glass enclosure. 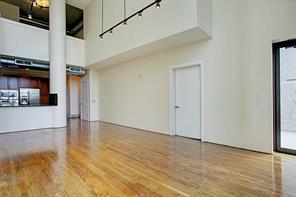 Spacious open floor plan with over-sized chef's kitchen, and soaring 10' ceilings down and 9' up. Fabulous flexible third floor. Gleaming first floor hardwoods, and over-sized luxurious master retreat with lots of storage throughout. Gated driveway entry and gated front courtyard with recently upgraded landscaping. This home is move-in ready. Call for additional information about updates and to schedule an appointment. 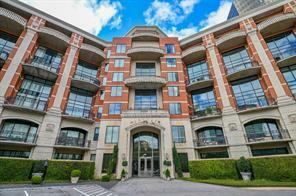 Enjoy luxury hi-rise living in the desirable Galleria area in this spacious 3 bedroom unit with fabulous views. 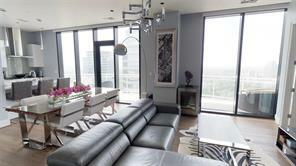 With only 2 units per floor this feels very private, quiet and secure with 24 hour concierge and controlled access. Fine finishes throughout include impressive 12’ ceilings, crown molding, beautiful travertine floors, fireplace and chef’s kitchen featuring 6 burner Viking gas range, Sub-Zero refrigerator, Bosch dishwasher and wine fridge. 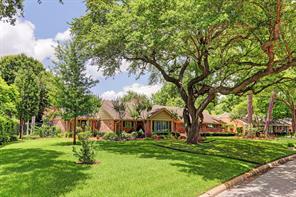 OVERSIZED LOT WITH TWO HUGE OAK TREES IN SOUGHT-AFTER ST GEORGE PLACE. PERFECT FOR CONSTRUCTION OF NEW HOME. LOT CANNOT BE SUBDIVIDED. PLENTY OF SPACE FOR A POOL IN DEEP BACK YARD. COLLECT RENT WHILE DESIGNING YOUR NEXT HOME. 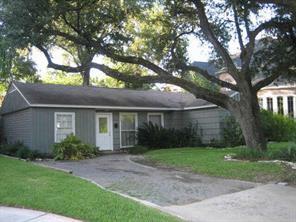 CHARMING, SPIFFY CLEAN HOME WITH 2 SIZEABLE BEDROOMS, 1 BATH, LIVING & DINING RMS, KITCHEN & LARGE MULTI-PURPOSE ROOM. LEADED GLASS FRONT & BACK DOORS. CENTRAL HEAT & AIR, ORIGINAL HARDWOOD FLOORS, ALL APPLIANCES INCLUDING REFRIG, GAS STOVE, DISHWASHER, CLOTHES WASHER & DRYER & CEILING FANS. FENCED YARD W/STORAGE BUILDING. 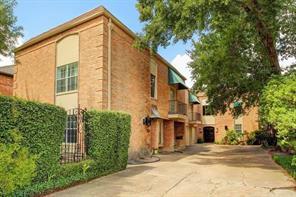 CLOSE TO GALLERIA, GREENWAY PLAZA, MED CENTER & DOWNTOWN. CURRENTLY LEASED TO WONDERFUL TENANTS FOR $1600/MONTH UNTIL 1/31/2019. PLEASE DO NOT DISTURB TENANT! DO NOT WALK ON LOT UNLESS WITHOUT CONFIRMED APPOINTMENT. SGP MANAGEMENT DISTRICT PROVIDES 24/7 SECURITY PATROL, COMMON AREA LANDSCAPING & MAINTENANCE OF GATES, BRICK WALLS, MONUMENTS & STREET LIGHTING. 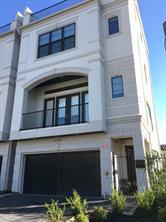 SO CONVENIENT TO MED CENTER, GREENWAY PLAZA, WESTPARK TOLL ROAD & BELTWAY 8. Breath taking nights out your personal balcony. Sit and enjoy a glass of wine looking at the sunset and the night life in the distance. Only unit available in this desirable building! This building has only 2 units per floor, 24 hour security, assigned parking spots, pool, fitness center, close to the Galleria Mall, easy access to 610, I-10, HWY 59 and Westpark. These units do not come up everyday, with only 54 units in the building and each unit has three different views of the area. A must have, don't wait to make this one your unit, if you wait it may be gone by the time you decide! 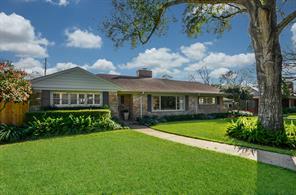 This beautifully renovated ranch style home in the heart of the Galleria area is the pinnacle of Houston living. Situated within the highly desirable Briarcroft community, this property’s open floor plan is accentuated by sumptuous hardwood flooring, marble countertops, decorative lighting fixtures, and custom finishes. The great room’s double French doors flow seamlessly to the outdoor covered patio, allowing for optimal entertaining space. 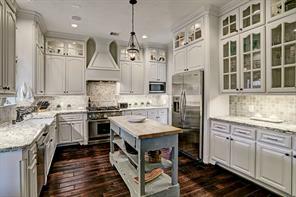 The spacious island kitchen is a chef’s dream with custom cabinetry, additional built-in storage, a farmhouse sink, subway tile backsplash, corner bench seating, and shiplap paneling. The master suite is a true oasis, featuring a tray ceiling, dual vanities, and a large walk-in shower with tub. 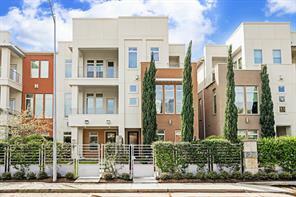 Within walking distance of the Galleria, Whole Foods Market, and numerous upscale eateries, and short driving distance to Kinkaid School, Houston Racquet Club, and Highland Village. You’ll love what this home has to offer. 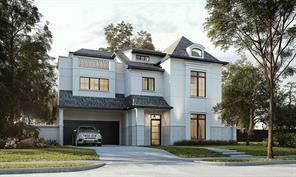 Remarkable opportunity to create the residence of your dreams with renowned builder Carnegie Homes on over 7000+ sq. ft. of prime property. 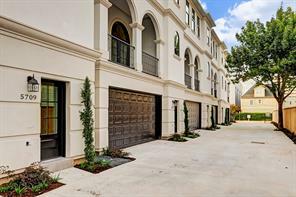 Located in the heart of St. George Place offering a prestigious central neighborhood setting with walking distance proximity to Galleria Area Restaurants and Shopping. Multiple plan options available for between 4400-4800 sq. ft. or design your own custom home. One of the largest, regular shaped, lot in entire neighborhood. 7150 square feet. 65x110. 5 Feet wider than most others, and see the survey for perfect square dimensions. North facing. Urban Living: Location, Location, Location. Galleria area. Briargrove Elementary school. First Floor Living with OFFICE. All bedrooms located on second floor. 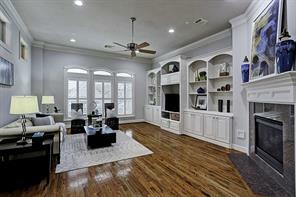 Custom Cabinetry & Hardwood Floors Throughout. Open Floor Plan. Gourmet Kitchen, Floor to Ceiling Cabinets W Large Island & SS KitchenAid Appliances. JELD-WEN: French Doors & Windows make this beauty well insulated. Spacious Master BR & Master Closet. Walk-in Closet in secondary bedrooms. 3rd Floor with Separate AC unit and breath taking Loft/Game Room with full bath & Rooftop make this stunning home great for living & entertaining. No Maintenance fees lock and leave. This home has it all!! Fantastic floor plan with incredibly hard to find TWO living areas on the first floor. Light and bright formal living space open to dining. Expansive family/room den with soaring 20’ ceilings adjacent to eat-in kitchen. Second floor features oversized master with dual walk-in closets and two secondary bedrooms adjoined by jack and Jill bathroom. Third floor flex space/bedroom with ensuite. Ample storage throughout. House extensively updated in 2017 with beautiful dark hardwood flooring, mosaic inlay stair risers, frameless shower in master bath, gleaming new quartz countertops in kitchen, and fresh paint throughout. 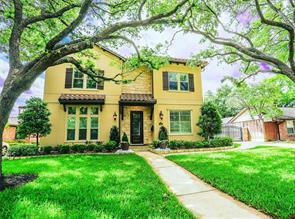 Gorgeous tree-lined street within walking distance to prestigious schools and Houston’s finest shopping/Galleria. Easy access to 59/610/Westpark Tollway. High and dry during Harvey!! Tucked away Galleria area beauty affords the opportunity to be near world class shopping & dining while still being nestled in a private gated enclave. Low maintenance, lock & leave living w/ miniature park-like centerpiece just outside the gate. 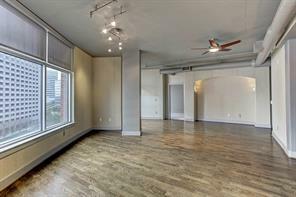 Beautiful quarter sawn oak floors, crown molding, high ceilings, corner location & elevator capable. Formal dining leads to spacious kitchen w/ breakfast bar, slate floors, granite counters & backsplash & open to living concept. Generous living room has cozy corner fireplace & opens to the kitchen. Great for entertaining! 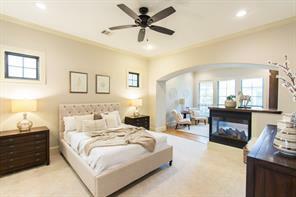 Master suite wows w/ private sitting room/study, tray ceiling & hardwood floors. Huge master bath has jetted tub, oversized walk-in shower, dual sinks w/ oversized sit-down vanity area & two closets. Two secondary bedrooms on the 2nd floor share a Hollywood bath w/hardwood floors & excellent closets. 4th bedroom on the third floor is ensuite w/ a huge closet & hardwood floors. Did not flood. 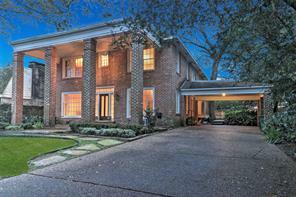 Breathtaking and simply stunning home located in the highly coveted neighborhood Larchmont in the Galleria area. Offering fabulous floor to ceiling expansive windows highlighting the fabulous backyard with koi pond and sparkling pool, a phenomenal kitchen that overlooks the massive livingroom, dining area and separate bar. The master bedroom is unlike any others, with the floor to ceiling windows continuing, an enormous master bath with coffee bar, double sinks, towel warmer, and a hidden master closet. The upstairs has a fantastic game room with kitchenette, and two bedrooms with a jack and jill bath. The ultimate entertainers home. Located on a quiet street with no through traffic, this location can't be beat. Motivated Sellers! Never Flooded! Well-maintained, move-in ready 4 bedroom patio home. Features include elegant formals with fireplace, a chef's island kitchen, multiple flexible spaces, master suite oasis, game room, oversized bonus room, 3 balconies, a backyard with a patio, an open floor plan, upgraded finishes, natural light and abundant storage. 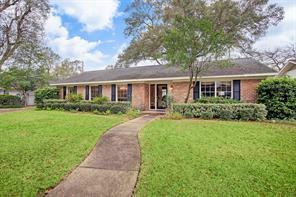 This property is located within walking distance to the Galleria and the highly-acclaimed School at St. George Place and Mandarin Immersion Magnet School. 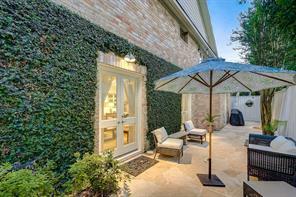 It is located close to highway 610/59, Upper Kirby, Uptown, City Centre, the Texas Medical Center, downtown, parks, restaurants, nightlife, museums and top private schools. There is not an HOA, but the St. George Place Civic Association oversees the community's landscaping, sidewalk and 24-hour security monitoring, as well as social events for the residents. Agent is related to Seller. Bring your most discriminating clients. This end unit has a private drive w additional private parking, private pool, climatized wine closet and unit has been fully remodeled. Soaring ceilings on the first floor living area and wall of windows overlooking pool and patio. Tons of natural light, custom wood paneling in living with a open floorpan. Travertine throughout first floor and kitchen features Viking Range, Bosch wall oven, dishwasher and counter depth fridge with microwave. 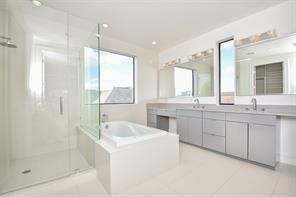 Master bath has a contemporary flair with a large walk in shower and soaker tub. Come see today or call listing agent to set up a private showing. 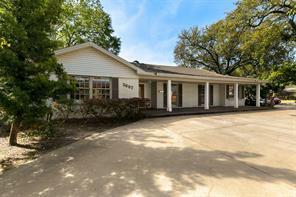 Completely renovated 3/2.5 nestled in the treetops! This spacious & open floor plan offers 2,169 sq. ft. w/floor-to-ceiling windows. Hardwood floors, granite, marble, custom cabinetry & built-ins. Spectacular island kitchen w/breakfast bar, stainless appliances, granite counters, mirrored backsplash. Master suite w/luxurious bathroom w/oversized rain shower & 2 walk-in closets. Solar shades. Utility room will accommodate full size washer/dryer. 3 private balconies. Generous storage. Great tucked-away residential location 2/24 hr. concierge, pool, party room, fitness center and more! ALMOST NEW HOME. 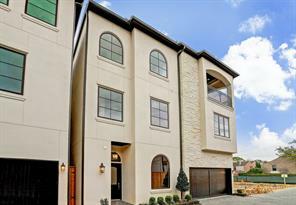 Luxurious home built by Carnegie Homes with second floor living that takes advantage of the views. Large living room with a balcony and a spacious island Kitchen. Third floor dedicated to the Master Suite. Game Room with wet bar, another bedroom and a terrific rooftop terrace with outstanding views on the fourth floor.VERY LARGE YARD! COULD ACCOMMODATE A POOL! Automatically opens costume curtains, French Door Stainless Steel Refrigerator and Wine Cooler stay in the house. Amazing Modern Fireplace. 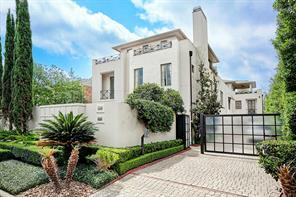 Sophisticated and Contemporary Living in Gated Community in Highly Desirable Galleria Shopping Area. Master Suite with Oversized Window and Huge Walk in His and Her Closets. Beautiful Wood Floor Through out. Stainless Steel Appliances, Granite Counter Top, Oversized Cabinets, Recessed Lighting, Multiple/Gorgeous Chandeliers, and Much More to Mention! 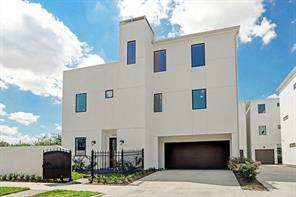 Easy Access to Downtown and Closed to Major Roadways I-69, I-610, I-10 and Beltway 8. 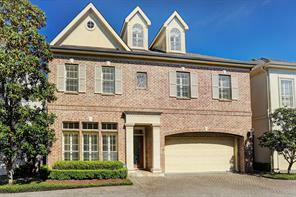 PICTURE PERFECT DAVID WEEKLEY HOME W/ELEVATOR ACCESS TO ALL FLOORS, BREATH-TAKING SKYLINE VIEWS OF GALLERIA-AREA. WATER WALL ENTRANCE + SIZEABLE GRASSY FRONT YARD! BATHED IN SUNLIGHT THRU’ WINDOWS ON 3 SIDES MAKE IT EXTRA NICE. HUGE WIDE-OPEN LIVING, FABULOUS EXTRA LONG ISLAND KITCHEN, BIG DINING, CHARMING BUTLER’S PANTRY, POWDER RM + PETITE BALCONY ON 2ND. 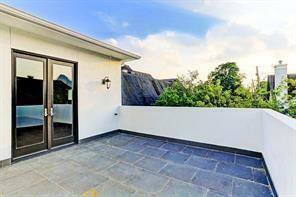 VERY LARGE TERRACE ON 3RD ADJOINS STUDY & MASTER SUITE. LUSCIOUS MASTER BATH HAS DUAL SINKS ON 2 LONG COUNTERS, SEPARATE DRESSING VANITY & 2 CLOSETS W/CUSTOM BUILT-INS. TWO BEDROOMS & FULL BATH W/2 SINK VANITY ON 1ST FLOOR. GATED COMMON DRIVE AT REAR LEADS TO 2 CAR GARAGE. SUMPTUOUS GRANITE, RICH WALNUT WOOD FLOORS & SPOTLESS CARPETING, IMPECCABLE CONDITION & SO CLOSE TO EVERYTHING! 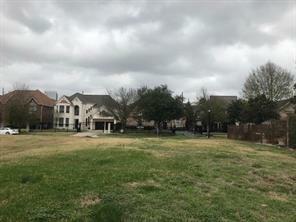 In the heart of the galleria area is this beautiful 6,600sq.ft vacant lot waiting for you to build your dream home on. Please feel free to call me for more information. 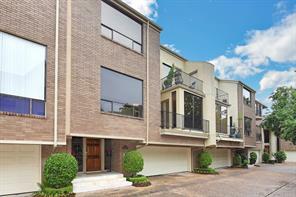 Rare and exceptional freestanding Westhaven Estates townhome in the heart of the Galleria area. Breathtaking private oasis front entry with nature-inspired waterfall pool, heated jacuzzi, seating area, and beautifully landscaped brick walls. Extensively updated in 2017, this home boasts a timeless floorplan and refined finishes. Upon entering, the 2-story foyer adjoins the formal dining and formal living together seamlessly with 5 sets of glass French doors bringing in the tranquil front yard oasis. Off the dinning is a true chef’s kitchen with a generous breakfast area that overlooks the private back patio. Sumptuous master suite with marble-clad fireplace sitting area, large bath with soaking tub and 2 walk-in closets. En-suite secondary bedrooms with private balcony and skylight. 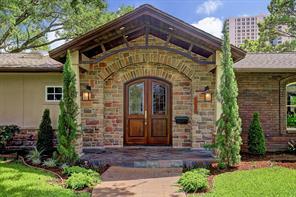 Five classic gated patio homes by Prim Development. Timeless architecture. 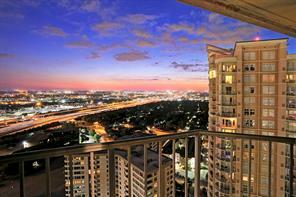 Beautiful veranda with views of the Galleria at sunrise. Outstanding hardwoods throughout the home. Gourmet kitchen with Bosche appliance package & wine cooler. Huge master suite with large walk in his and her closets. Master bath with oversized shower and large soaking tub. Amazing 46'x25' landscaped yard perfect for kids, pets, entertaining, gardening or perhaps a pool! Backyard equipped for 40 AMP Generac capacity. No HOA. 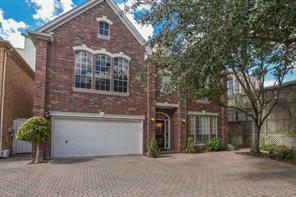 WOW-this fantastic gated townhome in the Galleria area close to some of the best shopping & dining has so many wonderful features. 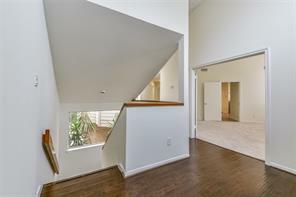 Beautiful wood floors on first level, carpet(Recent) on stairs & in bedrooms/extra room. Plantation shutters thru out the home, LED lights thru out, lights in utility & all baths are motion activated. 2 HVACs and all house lights are automated so you can control from your cell phone. On Demand water heater, crown molding & ceiling fans in all rooms. Jack & Jill bath for secondary bedrooms. upgraded fixtures. Lots of storage. Recent roof. Come see quickly so you don't miss out. 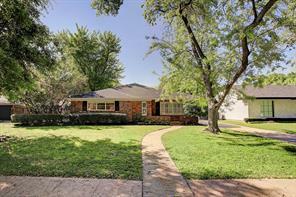 Wonderful opportunity for a remodel in desirable Briarcroft! Huge, open concept living flooded with light! Don't delay, this one won't last long! Talk about potential!!!! This is the original home of the area developer back in Briarcroft/Chimney Rock equestrian days! 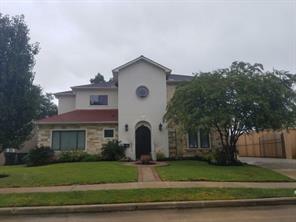 VERY unique home that boasts a huge atruim (complete with skylights and saltillo tiles), formal living and dining (beautiful original hardwood flooring), 2 office / studio areas and 3 additional bedrooms (Master is Large)! You'll also enjoy the kitchen / breakfast room combo! Home needs some love, but, OHHHH, THE POTENTIAL!!! Outside you'll find a 2 car garage with back area that is plumbed in for a one bedroom apartment (work not completed) and a HUGE yard! Grab your contractor and come on over... you'll be glad you did! 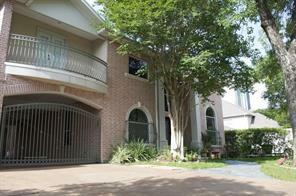 Stunning 2 bedroom / 2 bath / study overlooking the beautiful Lakes of Post Oak. 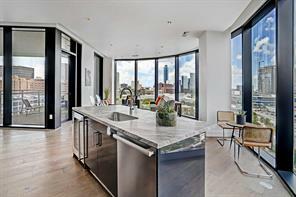 Includes lustrous hardwoods, upgraded granite countertops, GAS cooktop, refinished cabinets, stainless appliance package, high ceilings w/ electric solar shades & soaring windows that has some of the best views from the building. Spacious Master Bedroom and master bath with a whirlpool tub, extra large walk-in shower, and fine marble tiling. Custom oversized closet with built-ins definitely checks off the list of must have! Condo also comes with 2 parking and a STORAGE CLOSET! 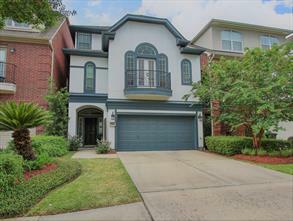 Beautiful spacious 2 story freestanding patio home in Westhaven Estates w/ 2 car oversized garage with new maintenance-free epoxy flooring & extra parking, is located minutes from the Galleria, I-10, 610, 59. Secure Front Area! Recent tile and hardwood flooring. Elegant hi-ceiling open living room w/ gas log fireplace, formal dining room. 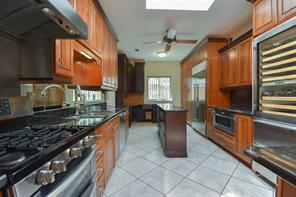 Major upgrades with a great gourmet kitchen w/ granite counters, SS appliances, New fixtures, New paint and more! Cozy Loft! Spacious Master suite with an inviting bath spa, separate walk-in shower & large whirlpool tub. Private backyard with deck. Remodeled and Ready for Immediate Move In! Amazing investor opportunity! Current Tennant occupies this elegant townhouse nestled behind a gated drive, renovated in 2015, high ceilings, tile floors downstairs, and four spacious bedrooms. Elegant master bedroom with fireplace. All bedrooms include en- suite baths, sizable closets and large windows. Home office/ study with French doors. Formal living, formal dining, island kitchen, wet bar, breakfast bar. 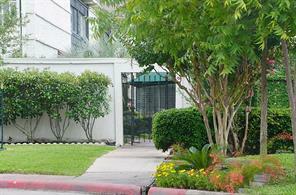 Easy access to the Galleria, memorial park, and major freeways. Location, location! 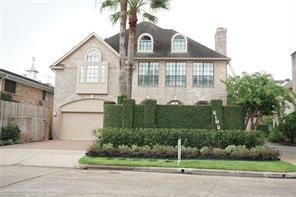 Wonderful Galleria 4 bedroom 3.5 bath home with living on the 1st floor, 3 bedrooms on the 2nd and bedroom/game room on the 3rd. ELEVATOR READY! UPDATED KITCHEN, refinished hardwoods, new carpet, entire house has been painted, recent roof, large patio and great closet space. This well maintained community of 64 homes has 28 guest parking spaces and wide streets. 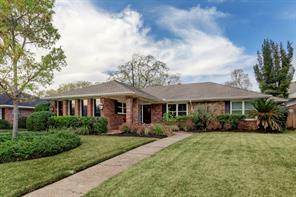 Great access to 610, 59, Westpark and medical center. GREAT HOUSE!